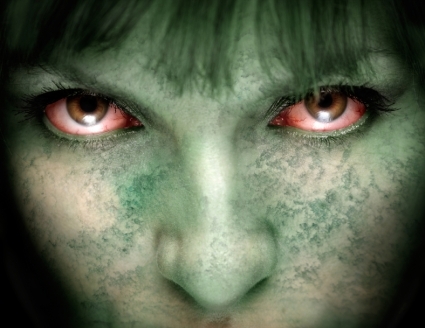 Wheat Allergies – Blood Shot Eyes, Runny Nose, and Only Gluten Free Beer? Say it Isn’t So! So I believe that wheat allergies are nature’s cruel joke. By no means am I an expert on this subject, but I have just done a bit of research. I began noticing that I would get a runny nose after certain meals containing wheat along with blood shot eyes. It isn’t like I would eat a meal with wheat and feel terrible, but just bad enough to be slightly irritating. Another thing I noticed was feeling tired after a wheat heavy meal. I chalked this up to having too many carbs, but noticed a stronger reaction to meals where the carbs were made with wheat or flour. I didn’t know how much I enjoyed wheat until I really thought about it. I don’t eat pizza as much as some people, but a good New York style pizza with a frosty mug of beer that is large enough to challenge your forearm muscles and grip? Yes please! I like to get an over-sized pastry at least 1-2 times per week at a French bakery downtown that also serves rockin’ espresso. Typically it is a massive snickerdoodle or scone. Basically I just point at whatever gluten filled snack catches my eye in the glass case, as the barista is preparing my Double Americano. Just typing this makes me crave a frisbee-sized cookie. How Could Something “That Feels so Right, Be Wrong”? Eliminating wheat from my diet is not going to happen. My favorite beers have wheat in them, so that is a “no”. Speaking of beer, I am pretty much hooked on “Leffe Blonde“. This tastes similar to a Hoegaarden or Mothership Wit, but with a little more kick. If you are into beer, give this a try. They carry this at “Whole Foods Market” for those who live in the US, Canada, or the UK. This is the perfect Friday when you get home beer, to get you out of work mode. Also goes good with nachos, pizza, or hot wings. They do make gluten free beer, and we will discuss that, but I can’t eliminate wheat filled beer from my diet. It is painful just thinking about it! To be honest I probably have a gluten allergy, but I like to use the term wheat allergy…it is easier to envision. So let’s talk about gluten. What is gluten. I see “gluten free” labels on food all the time, but what are those foods freeing us from? So gluten is a protein found in wheat, rye, and barley. The obvious uses for gluten is in breads and baked goods, but they sneak gluten into many other foods. Gluten can be used as an additive in other foods such as ice cream and ketchup. The research I conducted showed that less than 1% of the population has full-blown gluten intolerance. This is called celiac disease, which is pretty serious and results in damage to the small intestine when gluten is consumed. Some signs of celiac disease are abdominal bloating and pain, chronic diarrhea, vomiting after eating foods containing gluten. If you are reading this and experiencing serious symptoms like this, then click on that link and then see your doctor as well. Gluten-Free Beer is Discussed Here…so Cheer! Yeah…bad rhyming skillz, I know (sorry to the poets). 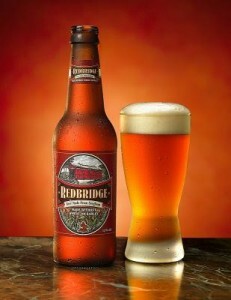 This beer is called Redbridge and it is probably the easiest to locate since it is made by Anheuser-Busch (Budweiser). Here is an updated list of gluten free beers. This link has a list of 23 breweries around the globe that carry gluten-free beer. Here is a gluten-free beer review with comments. I like the sound of St. Peters Brewery in the UK. Their G-Free beer supposedly has a taste similar to Blue Moon. I will search this down at my local beer import market. I typically feel better after a wheat free meal than when I eat one containing wheat. My girlfriend is the same way. One of the big reasons I enjoy Marks Daily Apple and Feel Good Eating is that I can find great low-carb recipes and ideas of gluten free foods. I like to eat paleo when I need to be productive, and add in the carbs at night or on the weekend when I want to relax. I simply love carbs too much to be carb-free. So I Google’d “gluten free” and found a bunch of places that offer gluten free products. Big companies like Whole Foods have a wide selection of gluten-free products, but try and support a local business if possible as well. I try my best to support small local businesses, because they tend to give back and care about the community. I found a cool little bakery called Wheatless In Seattle that is really close to where I live. They have gluten-free breads, cookies, pizza, etc. There is a good chance that you have a similar place in your neighborhood. So I will simply do my best to buy gluten free alternatives when it it convenient. Mix in a few paleo meals and simply eat normal gluten-filled foods the rest of the time. I highly recommend ditching grain altogether and go full paleo. Who needs bread and beer when you can have steak and wine?!?! Another informative post! You do such a great job with this blog and have such good advice. Speaking of which, I wanted to get your opinion on creatine. I have been trying to find your opinion on it in your posts, but all I could find was a comment you made in response to someone asking about it in the comments section of a post entitled “Water retentionm the enemy of Muscle Tone” You commented it was a waste and didn’t like the look it created. I stribe for the dense hard muscle look – will creatine cause me to retain water? I want to get stronger, but I don’t want to have that puffy look you have described. 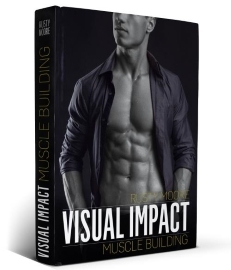 Are there other supplements I should avoid or include to enhance this look? I only use caffine for energy right now. I would value any information/opinion on this subject from you. As much as I hate to rain on anyone’s parade, wheat is bad news. Much like dairy and beans, grains only really became a large part of the human diet with the beginning of agriculture, around 10,000 years ago. Although we have evolved slight tolerances of all three of these foods, at best they are “filler” that take the place of the good stuff (meat and veggies). At worst, they cause diseases and allergies, as this post really spells out. Although it’s often claimed that about 1% of people have celiac disease or gluten intolerance, I imagine it is more than that. This disease hasn’t been studied to the degree I’d like to see, but I hope that will change in the near future. Seeing that mammals’ milk is more of a “food” to humans than grasses (we lack the multi-chambered stomachs of ruminants such as cows), I wouldn’t be surprised if more and more data piles up on the detrimental health effects of grains, especially high-gluten ones such as wheat. hi rusty…..No I am not allergic to wheat but after reading ur article i researched little bit on gluten free foods and alternatives and found some amazing recipies completely gluten free. http://www.taste.com.a…gluten+free+flour this site has some great gluten free recipes. some of the gluten free cereal products that u can try are :- coconut flour, sago, corn tortillas, cornflour,rice flour,potato flour, rice of any kind,taco shell, tapioca,most rice crackers, lentil flour, malt free rice and corn breakfast cereal, buckwheat and chestnut flour. if u are going out for fast food u have to take a very close notice on what u eat try making substitutes for example u can order some meat pieces instead of a burger, you can eat bacon, egg, hash brown for breakfast, for lunch rice , salad, potatoes. u can also try visiting this site http://www.mynonglutenlife.com. Also allergies are caused due to a weak immune system ,try to intake more of yogurt, vegetables(broccoli, cauliflower,cabbage ,brussels), mushroom, sweet potatoes, sensible amount of meat , vitamins and minerals to boost up ur immune system. I’m right there with ya, buddy. My allergies might have something to do with wheat, etc. I’m allergic to the pollen found in grass/wheat etc..
I’m 36 and have had horrible, horrible bad allergies my entire life. Several trips to allergy specialist helped a little but didnt cure the allergies. Well about a month after I went paleo my allergies disappeared completely! It was a life changing moment. Only those who have or have had allergies can relate to the sever discomfort they cause. Sneezing, coughing, running and stuffy nose and watering eyes nonstop. It was just terrible. Paleo eating is a miracle! The more research I do on my own, the more sure I am humans can’t handle the modern foods we consume on a regular basis. The sad thing is, people are hard to convince that the crap food they eat is killing them slowly. Have you found beer specifically to trigger a reaction? Traditionally prepared foods often use fermentation to break down anti-nutrients and make vitamins more available. http://wholehealthsourc…methods-improve.html And beer is one of the most traditional forms of wheat there is. If one is going to consume wheat, it should be sourdough and beer, not pastries. If one is going to consume soy, it should be miso, not soy milk. The longer a food has been prepared in some manner, the more likely it is to be healthy, in my opinion. Gluten is more or less a glue (papier-mache paste is made from flour and water), it is used by biochemists for its ability to bind to proteins. But I think the gluten in beer has largely been broken down (I can’t imagine making papier-mache from a Budweiser). Read this post a few times. Then go and educate yourself (lots of really really good online resources) and see if it works for you. Thank you for the link love Rusty! I keep hearing that often as we get older we become less tolerant to gluten (and dairy). It is frequently suggested that post-meno women try to limit or eliminate these foods. That said, I DO limit them mostly -thank goodness I never really craved pasta and pizza just doesn’t agree with me anymore- but like you I ain’t giving up my beer. Hey Rusty, I got more aware of wheat allergies after I practiced ESE. I noticed that wheat makes me feel bloated and makes me gassy (sorry for TMI…lol) which I used to think was a part of everyday life. After having completely eliminated wheat from my diet for 30 days, I noticed a huge difference in my energy and the weighing scale. I do feel the difference in my digestive processes when I don’t eat wheat but like you, I enjoy occasional wheat-filled treats occasionally. Hoegaarden, Leffe blonde or Wieckse witte. I’m definitely going to enjoy those in the sun. You have great taste, Rusty. Anyway, I’m glad I don’t have such allergies. And keep up the good work with your site. Your posts and the comments of your ‘followers’ are really inspiring me to actually do something this summer instead of just waiting ’till soccer season begins again. Lucky me, I developed food-dependent exercise-induced anaphalaxis, with the trigger food being wheat/gluten. So, if I eat wheat before I exercise, I will go into anaphalactic shock. Even after I exercise, I have to wait 2 hours for my system to get back to normal before I eat. In theory, I could eat non-wheat foods, but my allergist said that once someone has this type of reaction, other foods could potentially become triggers. Beyond that, too much wheat tends to not agree with me very well. It really made me aware of how wheat is so pervasive in foods. I’m Asian and absolutely love Asian foods, but most Asian sauces, especially soy sauce, contain wheat. I agree with you that I do feel better when I limit my wheat consumption, but it is extremely difficult to do, especially when eating out! Not to mention there’s no way I could ever give up soy sauce. It made me appreciate just how difficult it can be for people who have true anaphalactic allergies (think peanut allergies) and how those of us without allergies often take eating and health for granted. interesting. i almost always have bloodshot eyes and a slightly runny nose these days. maybe it is the wheat. i do know that flour products make me bloated, fat and depressed, but i still eat them here and there, because they are so ubiquitous in our society (and because they are damn tasty). i think it’s good to be aware of what we need to do to feel our best and then stick to those things whenever we decide it’s worth it to do so. the rest of the time, we just have to accept ourselves for the delicate and mortal beings we are. and hopefully no one will judge us too harshly for our bloodshot eyes and runny noses. Ugh me too! I actually just ate some delicious sprouted bread…but I feel really gross and my stomach hurts now! d’oh!! This is my first time posting a comment but I have loved your blog for years! Keep up the great, FUNNY posts! same exaaact way. Ive only met about 2 people with celiac disease and have known that most have a mild reaction to it. Ever since doing lower carb or gluten free, i have realized that after eating some bread i feel a little worse, and that i feel better and more fit without it. Although, who can give up mini wheats or cookies? Not me. If enjoying life with beer, pizza, cookies..etc….entails a little runny nose, I say live a little! Nice post about celiac disease Rust! I’m going to sound terrible but I don’t want to believe in allergies (it must be denial..haha) allergies is a weakness. Any weakness I rather confront rather than run away from and stop me from doing or eating anything. I don’t have any (that I know of) but I do get sea-sick so I go scuba diving I throw up in my reg. (LOL gross but don’t care) … I love German wheat beers and would rather drown in it than stop drinking it. I made a mean lasagna tonight without any pasta in sight, I used thinly slice grilled sweet potato and eggplant instead of pasta and just used fresh mozzarella instead of white sauce, it was so good I never even missed the pasta. Another trick I have learned is slicing courgettes really thin and steaming them, this is a great spaghetti substitute if you can’t find spaghetti squash and have a wheat intolerance like I have learned I do lately. I have psoriasis and find when I go without wheat it clears up a lot and as soon as I eat it it flairs back up again. I have suffering from wheat intolerance for about 2 years. Mine is definitely stress related. It is much more severe when I have a tough time at work. The cleaner I keep my diet, the better it gets. At its peak, I look pregnant with a really swollen abdomen. If I keep of the wheat and the booze for a few weeks I go back to looking normal again. Another alternative to beer, is Cider. I have completely left beer and lager behind, and now only drink Cider, Wine or Spirits. I am trying to cut down on these too! Creatine will not cause you to retain water beneath your skin, which is what causes you to look bloated. It will, if used properly help you gain muscle and increase your strength. Any water retained will be within your muscles which isn’t a bad thing. Here’s an article on creatine loading to help you learn more. The key to getting your muscles to look ‘hard’ is to train with weights and lift heavy with some of your workouts using sets in the 3-6 rep range. You also need to diet to get your bodyfat less than 12% or so. Cutting out grains and sugary foods is a good first step to getting leaner. I cut out wheat just under a year ago, and it helped reduce my hay fever. More importantly, I had very bad osteoarthritis in my knee for 16 years and it was getting worse every week to the point I thought I would need surgery. The wheat was causing inflammation in my body and aggravating my knee. Now I am TOTALLY pain free in my knee since cutting out all forms of wheat. It can be tough but the memories of the pain I suffered are far worse – take care Rusty. That can quite irritating if you have to give those things up. I’m following Bova’s Spartan Diet, but I find myself eating pizza 2 days after I commited myself to doing the strictly. I’m going to enjoy my youngs days now I think and will practise what I learn from you when I get in my 20’s. I’m 16 years old now 1,88m 70kg and have to do nothing to stay at that weight. It’s quite convenient, I can focus on weightlifting and bodyweight mostly. Anyway why I wanted to reply is because Leffe is made right here in Belgium and the taste is indeed great! I hope you enjoy much Belgian beers this summer. At least I plan on doing so! are you able to work around allergies and intolerances?say lactose intolerant,instead of avoiding milk altogether, shldn’t you drink milk to train your body to handle the lactose better? same goes for gluten? i just wanted to note that checking the little box that says “Notify me of followup comments via e-mail” has never worked for me on this site, meaning I get no notifications. Is it working for other people? Paleo zealots and low-carb gurus would like us to believe that a lot of people have celiac disease, instead it is a very rare condition and people believing that they can’t lose that last pound because of celiac is like underestimating the problems of real celiac sufferers. Even worse, and maybe you have found this in your researches, there are companies that offer celiac tests online. Unfortunately as proven by many studies they’re a scam, their methods are unreliable and give tons of false positive and the genetic test is even a worse hoax. Such companies want people to believe that they’re celiac sufferes and that everyone in their family is as well. Let’s ignore the paleo ideology that like every ideology is just a waste of time. Yeah, eating natural fresh and basic foods is good but the whole “we can’t eat grains because it appeared recently in our diet and we haven’t adapted to it” is just a pseudoscientific argument without evidence. It’s ideological rather than scientifical and serves no purposes. Actually grains and legumes consumption have been shown to improve the health of those who consume them, unlike butter and lard consumption… so it’s pretty hard to believe the fairy tales they’re bad for us. I think your approach is ideal. starch and carbs are not bad foods that add fat and are not empty calories: expecially bread or pasta or rice. Not even cookies are empty calories as they have enough nutrients in them. Carbs don’t add fat only calories do. And the only reason why people lose belly fat when they eat low-carb is that they can cut their calories by 50% by removing one nutrient from their diet. Right on Rusty! I think you and I are the same. I get bloated whenever I eat carbs/grain products and find it next to impossible to lose bodyfat. I can maintain my weight eating them as long as I watch the calories, but I need to go full primal/paleo to lose any fat. I simply can’t go full paleo…I love my french pastries, rice, cookies, sandwiches, pizza, etc, too much. I like paleo…but just part of the time. I have changed my stance on creatine since that post (that was from a few years back). Anyway, since chatting with John Barban and Brad Pilon (who actually created and made supplements for large supplement companies)…I believe creatine is probably the best muscle gaining supplement on the market. 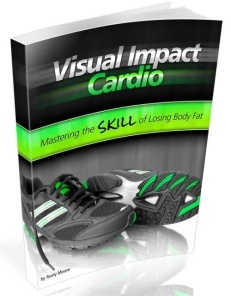 It inreases the volume of the muscle without adding body fat. It does seem to work the best when someone is really lean with dense muscles. If someone was a little flabby and had excess body fat it wouldn’t make as much of an impact. 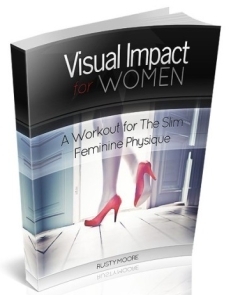 I recommend it after someone leans down to a low body fat level…to add it 3-4 weeks before a vacation or special event. Yeah…I don’t do so well with dairy either. Great points. Yogurt and cheese are fine, but milk kills my stomach. It wasn’t as big of an issue when I was younger. Thanks for the resource. I am going shopping tonight for a lot of my food for the week and I do plan on picking up some gluten free foods tonight. As far as drinks go, vodka seems to feel the best on my body as far as feeling no sluggishness the following day. I do pretty good with beer as well. I went to the horse races yesterday (first time ever) we had 4-5 beers and felt great. I did go wheat free all day basides that and didn’t have a runny nose. I get acne from chocolate! A bad deal, because I love chocolate. I will sacrifice my skin and eat chocolate every now and then…but not as often as I would like. The Wheatless in Seattle store is located in the Greenwood neighborhood…so easier parking than going downtown. I feel your pain. I sometimes experience seasonal allergies as well. Yeah…I like paleo and plan on doing it part-time. I am also going to mix in some gluten free stuff as well. Crazy that going Paleo helped you so much. No I don’t think beer has triggered a reaction. I feel alright when drinking beer. The thing that messes me up the most are pastries and breads. I should try more sourdough. Love it. If I had to give up wheat in food or wheat in beer, I would ditch the food. I do love the way eating Paleo makes me feel, but also love carb containing foods. I guess I walk the middle road although I really do see the logic of eating paleo. Fascinating. I love alternative approaches and examining things that aren’t mainstream. Although the pharmaceutical companies have saved millions of lives, I know they are slow to adopt cutting edge treatments. Will take a look at that link. You probably do feel great. A lot of the followers of paleo get fantastic results eating that way. Don’t worry so much about post workout nutrition. The benefits are way over-exaggerated. The thing about doing intense HIIT and intervals is that it spikes the level of HGH in your body. As soon as you eat, insulin gets elevated and the HGH is lowered. When insulin is high…HGH is low. So even though your body will absorb more nutrients after training, it also is releasing HGH. For fat loss I would say the HGH increase is more important than the filling up the glycogen storage in your muscles by eating after training. HGH also spares the muscle protein while burning fat. Hope that makes sense! You are correct about the aging thing. This wasn’t as big of a deal until I reached my mid 30’s. If you eliminate wheat from your diet you also probably wind up eating less. I was trying to find a wheat free snack the other day in my kitchen. I wound up eating a cup of yogurt with honey mixed in. My wheat filled snack in the past would have been cheese and crackers or something else that made me sluggish. I have heard of mood swings as well. Kind of crazy that depression can be linked to food choices. I think we underestimate the powerful effects of food. Thanks for reading and finally commenting. I appreciate it. The thing that makes my stomach feel the worst is actually breads and also bell peppers…they mess with me in a bad way…but will still eat them in fajitas. I don’t know if I known anyone will celiac disease, but know a bunch of people with mild wheat allergies. I’ll look for that ebook. Sounds informative. Allergies are a weird deal. You can go 30-40 years without any problems and then get one all of the sudden. Not a huge deal…just a challenge to deal with. I haven’t had much cider. I am such a big beer fan. I also like the occasional margarita (on vacation or a Friday afternoon at a happy hour in a Mexican Restaurant). Very cool. I will take a look at that video. I love quality info like this. Thanks. I also like creatine when someone is lean. It seems to make less of an impact when guys are above 12% body fat. Yeah…good idea for a topic. I always appreciate that. Removing pain would be a big enough motivator for me to drop wheat out of my diet. You are doing the right thing for sure! I think a lot of the gluten free sources are still carb based. I actually enjoy carbs and believe they can be consumed when losing body fat. Why don’t you give it a try. Go gluten free and just focus on keeping calories under control. It should work fine…but you won’t know for sure unless you give it a shot. That is hilarious and made my day. We can’t legally drink beer here until the age of 21. I actually believe the age should be dropped to 18. People are considered adults, can vote, can go to war, but can’t drink beer. Seems weird to me…plus the majority of college freshmen drink at the age of 18. It is illegal, but nobody really enforces the law. No doubt that Belgium makes the best beers in the world. I will need to visit someday. Leffe Blonde is outstanding and a work of art. That is a seriously good beer! That is a good question and one I don’t have an answer for. Hopefully someone else will. That “notify me” thing only works about half the time on my site. It is because the website design I use (Wordpress Theme) is ancient. I could replace my entire theme with a new one, but I love how simple my theme and navigation is compared to other blogs. I get where you are coming from. I like a lot of what paleo practices, but don’t like having such rigid rules of eating. That being said, no doubt that I feel much better when I eat paleo. I won’t ignore it 100%, because I believe they have a lot of valid points. To be honest, I am more of a believer in calories in vs calories burned than any other approach to eating. Great points about empty calories…Brad Pilon agrees that we shouldn’t even label foods “junk foods”. You can eat just about anything in moderation. I do get a little more lean when limiting the carbs…I wonder if it is just a calorie deal. I am going to do a future post on calorie sources vs total calories for losing weight. I’ve been gluten free for about 4 years now and I feel great. Since I started eating primal a few months ago, I feel even better. Before I found out I had a gluten allergy, I was unhealthy thin (5’10” and 115 lbs) because my body was not able to properly absorb nutrients and I had an aversion to food because eating hurt! When you have a gluten sensitivity, an auto-immune reaction to the gluten basically destroys your intestines. My stomach hurt after I ate pretty much anything, sometimes even after drinking just water, and I felt bloated and constipated all the time. I had acne, felt lethargic, and was generally depressed. Once I stopped eating gluten, it completely changed my outlook on food. I gained 10-15 lbs (much of it muscle), had energy, and could start to enjoy food without fear. Bear in mind, this is all in retrospect. At the time I really didn’t realize how bad it was because I didn’t know anything different. I would HIGHLY recommend that everyone try going gluten-free for a month to see how they feel. I truly believe that we did not evolve to eat grains, and that they should be at least limited, if not eliminated, if you want to thrive. Ditto on the gluten thing. That is how I got started on low carb etc. I just felt better when I cut out the wheat foods, vinegar and sugars. Good discussion over here guys, nice to see a non-zealot-like conversation about Paleo/gluten issues. I have celiac disease, and so obviously avoid gluten completely. The statistics for gluten intolerance really can not be measured at this point in time, but some estimates have it at 1 in 10 people, whereas as mentioned, celiac is at 1 in about 100-ish. Eating gluten free can be just as unhealthy as the standard American diet. I am very grateful to the food manufacturers for giving us greater choice, but now there are gluten free pizza/cookies/crackers etc. It’s more expensive, but you can eat very poorly from a nutritional standpoint and still be gluten free. There is nothing inherently healthier about a gluten free diet. As always, it depends on your food choices. If you go gluten free and eliminate processed food, adding more fruits/veggies/protein/healthy fats, then yes, your health and athletic performance could improve. I hypothesized that as the case when I wrote an article about non celiac athletes going gluten free. I am a physique athlete, and get a fair amount of carbs in-but I get them from gluten free oats, rice, potato, and fruit/veggie. As soon as I saw the blissful picture of Leffe, I was a happy man. 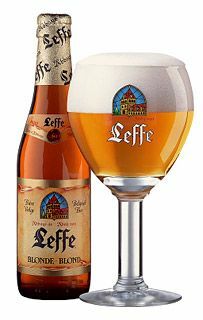 Fortunately for me, there is an abundance of wheat free beers that have hit the UK market and Leffe blonde is widely available. Anybody else in the UK should check out Sam Smith’s Organic Wheat Beer – also tasty! I have been gluten free for almost a year now and I feel way better. And I have gone paleo for almost a week now and holy bananas does gluten free seem like a walk in the park compared to paleo. BTW i took your recommendation Rusty and looked into Mark Sisson’s Blog and bought his book and I think his stuff is absolutely tremendous now. in phase 1, you recommend a pyramid approach bond with short rests. but in each set of that pyramid go for failure or not??? I went totally paleo after reading some of your blogs more than 6 months ago and every sunday I would eat whatever, like wheat pancakes and different wheat things and I felt like a migraine hit. every sunday the same thing would happen and I pin pointed that I feel dizzy and get irritated easily when eating wheat, so I just never eat it anymore. anyone i talk to about fitness I challenge them to not eat wheat or grains for a week and see how they feel. I felt immediately better after I stopped and lost the puffiness in my abdomen area! well, you can search online for that, but the most common things wheat-related, of course, are bread, pastries, most breakfast cereals, you can look for things that say gluten free, that most likely wont have any wheat in them. I sometimes eat rice or corn, it doesnt effect me like wheat, but it probably only consists of 5% of my diet. It sounds pretty boring but my routine is egg scramble with chicken in it with different types of veggies added in the morning, avocado on top sometimes, diff spices, hot sauce, whatever, skip lunch(fasted for working out in afternoon) bowl of fruit for carbs afterward, dinner is some kind of meat,(fish, steak, ground beef) with veggies on side or fruit or both. Its all real its all fresh, so I know what I am putting in my body. try it, or read Paleo diet, they list everything humans weren’t meant to eat. if you are having trouble eliminating bread type foods, coconut flour is a nice substitute. Like others, I first determined my gluten allergy as an adult by dabbling in removing grains from my diet. Years of skin flaking, constant stomach aches, swelling joints and dandruff disappearing within weeks of removing grains from my diet. Being a physicist, I decided to do some experiments, and re-introduced various foods back into my diet and recorded the response. After a few months I narrowed it down to any gluten containing food. I verified my data with several medical tests for various Ig responses, tTGA etc. Sure enough. Verified the results with a second set of tests in another lab with other doctors. Now, like other allergies, if you expose yourself constantly, some symptoms resolve, and some are chronic. If you cut out the allergen for months, then re-expose yourself you can have a severe reaction. For instance, I stay away from wheat gluten for months, re-expose myself for a “special occasion” and end up with explosive diarrhea and stomach cramps, followed a few days later by swelling joints and hair loss. Quit yer bellyachin’ (pun intended). Celiac is rare, but not as rare as you propose. Yes, keep eyes out for hoax tests. There is a large body of scientific data and research showing phenotype adaptation to certain food groups such as grains has not completely progressed in many populations. Yes, paleo people like to dramatize the results, but they are valid results. 10000-20000 years in not enough time to adapt to certain dietary changes through a large population. You may get individual or sub populations that adapt at these time scales, but they are the leaders in the adaptation. Regression to the mean is still in progress. I am a gastroenterologist and treat lots of people with celiac disease. For the love of God, if you think you have this please get tested with the blood test and if the test is positive get a scope with biopsies of your small intestine. Do all of this BEFORE you start on a gluten free diet. wheat, grains, etc. bother many people, but with true celiac disease the need for gluten avoidance is crucial and you can’t cheat. Just trying a gluten free diet makes it very difficult to actually diagnose you and is the sort of thing that ruins my day at the office. Once you know that you do not have it, then avoid gluten as much as you would like, but if you have celiac disease, you can’t ever have a bite of anything with gluten again. Iv’e had issues with my skin for quite a while now. I’ve changed body washes and face creams, to no avail. Dermatitis is prevailent. The last place you tend to look with any such symptoms is your DIET. The blood-shot eyes thing is a definite alarm bell for me I’ve gotta say. A real eye opener for sure. Thank goodness there is someone else out there who has gluten intolerance and refuses to give up beer! Also, Leffe is my favorite beer in the world! And I can’t switch to “steak and wine” because I’m vegetarian and wine gives me a headache. I know this is a bit old now but please post Scott SHulman’s post somewhere where all these readers can see it. If people notice they have trouble with gluten-foods they should get tested for celiac, not experiment with their diet. It’s important to stress that the problem is not the immediate symptoms you may have, if you have celiac, gluten is pretty much destroying your gut and this leads to really serious problems in the long run. I’ve been gluten free for almost 2 years now! Its honestly not hard at all to be gluten free. Especially if your already eat healthy. Everything that has gluten you can pretty much get gluten free and usually it tastes just as good or almost as good. For beer I like New Grist. Its 5.7% alcohol too so it gets you real drunk. Oh and I also just found out that strong bow is gluten free. Here in Toronto, Canada Strong bow is really popular. So this makes it super convenient. I have celiac which causes fat malabsorption. The reproducibility is almost 100% so it is confirmed. Wheat based cat litter is also a trigger despite being on a gluten free diet. You can print out celiac cards to show your waiters at restaurants who may explain their changes in food preparations. Wheat raises blood sugar higher than most of the other foods. 4 slices of whole wheat bread raise blood sugar higher than 12 teaspoons of sugar. That’s a simple fact as per the table of glycemic index. Almost all wheat in USA is from a dwarf strain, which produces a far greater yield but has contributed to the current obesity epidemic. Some of the world’s most popular diets including Atkins, South Beach and the Dukan Diet have urged followers to ditch bread and other carbs to slim down, while a rising number of celiac and gluten sensitivity sufferers have dropped bread in the name of health. Modern wheat — including whole wheat — has become so uniquely destructive to multiple body functions that more than 80% of us could benefit from giving it up all together. 50% of us could see and feel results almost right away. When traditional wheat was genetically altered to become semi-dwarf wheat in the last century, it was assumed, without any testing, that the modifications would not change the way it affected those who ate it. Those genetic changes could be responsible for the rise in celiac disease and gluten sensitivity we are seeing today. Unique compounds in wheat such as gliadin, amylopectin A and others as triggers of hunger, sharper blood sugar spikes, behavioral disorders and destructive inflammation. Thousands of patients effortlessly lost weight, relieved joint pain, eliminated their need for inhalers and improved their blood numbers with the simple removal of wheat. Genetically altered form of wheat has been transformed into such a destructive “food” that any amount has the potential to trigger undesirable consequences. Due to the overwhelming inflammation-triggering effect of wheat gluten and lectins, or the appetite-stimulating effects of the gliadin protein unique to wheat even reduction does yield benefits, just not as dramatic as elimination. I am SERIOUSLY DISGUSTED that you would hide an ad for beer under the guise of information about celiac disease and gluten intolerance. Also, for people with this NO GLUTEN AT ALL is allowed. Even the smallest bit will cause the body not to absorb nutrients propertly. You are a scumbag and dangerous, too. For SHAME!